It’s been a few weeks now since Camp Bestival, and I’ve sorted through all of the hundreds of photographs I took (okay 1500!) and can start sharing parts of our weekend with you. 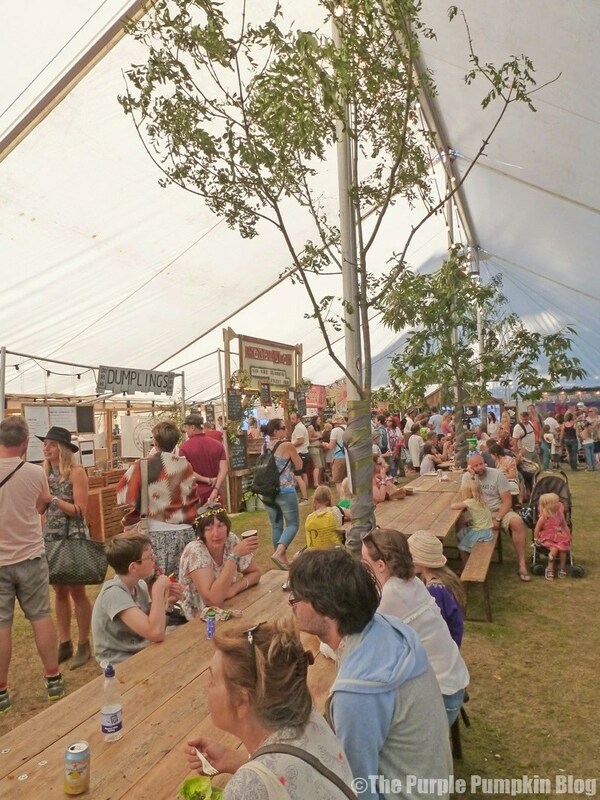 Today is all about The Feast Collective – Camp Bestival’s food lovers’ haven: a celebration of exceptional, artisan food producers from across the UK. 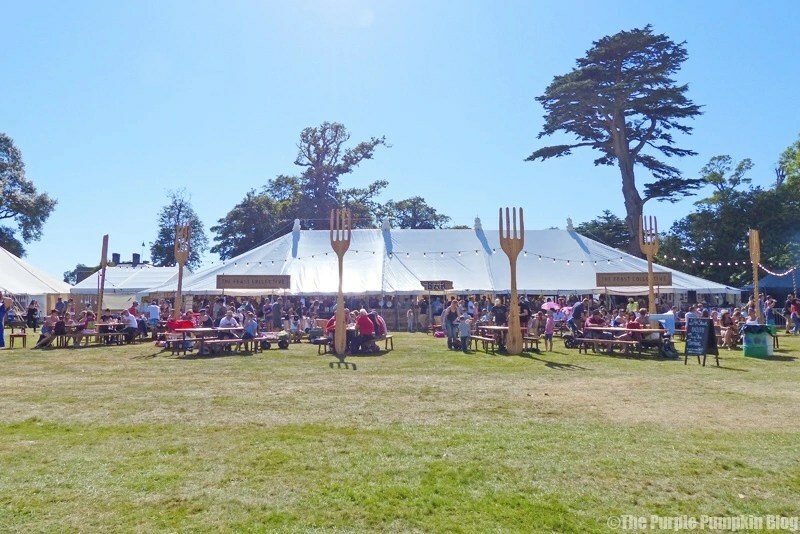 They have hunted down the best independent chefs, street vendors, and creative food makers and are bringing them together to present the ultimate outdoor feasting experience at Camp Bestival. There will be big communal tables for families and friends to dine in a relaxed style, with music and cocktails to see things through into the evening. We found our way to the huge tent that housed The Feast Collective, on the Upper Kid’s Garden, behind the castle. It was bustling, but not overly busy, and, as promised, there were big communal tables for families and friends to dine at. The food stands and vendors were located around the perimeter of the tent, with choons courtesy of DJ BBQ. The hardest part was deciding what food to have – and there was something for everyone – meat, fish, vegetarian, and a good variety of interesting dishes! You can read all about the vendors in my earlier post about The Feast Collective here. The Thoroughly Wild Meat Co.
As a family of keen BBQ-ers and eaters of BBQ food, our eyes were drawn to DJ BBQ’s huge smoker (oo-er missus), where pit masters were dry rubbing meat, and smoking hamburgers. 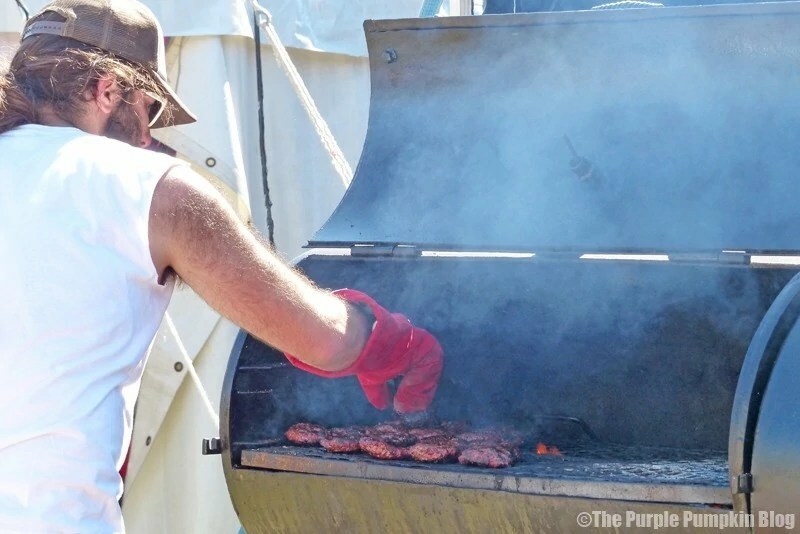 The smell of the smoke and of the cooking meat was delicious… but they had run out of pulled pork, which was a shame. However, Liam (my son) decided he would have a cheeseburger and some fries from the stall next to it – Shrimp Up Your Life. My son is a burger aficionado, one year on holiday he made it his mission to have a burger at every restaurant we dined at! 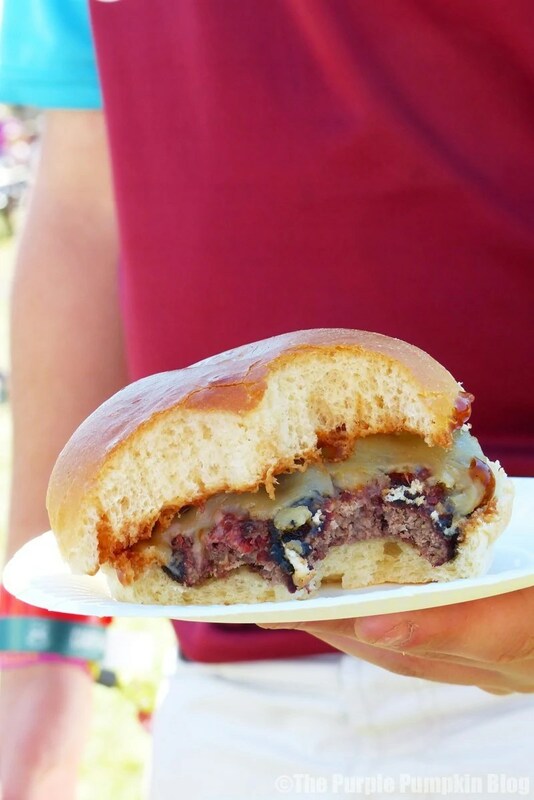 He said it was a gooood burger, but needed fried onions – 9/10! I decided that I simply must have a cocktail from Josie Da Banks Jam Jar Bar, and my tipple of choice was the Garden of Eden with gin, elderflower cordial, mint, fresh lime juice, and cloudy apple juice. I loved the drinks menu board with the illustrations of the cocktails, with the list of ingredients drawn on the layers. At £7.50 – £8.00 per cocktail, they were not cheap, and worried we would do all our money before the weekend was out, it was only I that had one. The bar area was lovely – with a retro caravan, 70s style parasoles, mismatched seating and a nice chill vibe about the place. 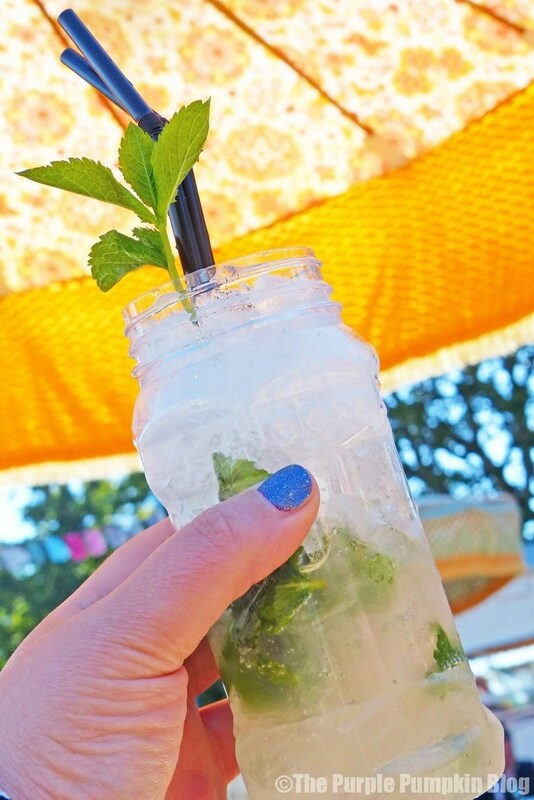 All the jam jars were made of plastic, and ready to go behind the bar counter – just the addition of the fresh ingredients and mixers. If we go back next year, and Josie Da Banks Jam Jar Bar is there again, I’m taking extra money to buy more cocktails! Within The Feast Collective – as well as the other food stands around Camp Bestival – food prices varied, but to give you an idea, I found the average to be £5 – £7, with some dishes being a bit higher, and the most expensive (that I saw) was The Big Plate of Everything from Zoe’s Ghana Kitchen, for £10. We were going to have dinner here on the Sunday, but, we left early due to me feeling unwell, and so missed out. I took some photos of the menu boards as well, which you can check out in the gallery below (click to enlarge). 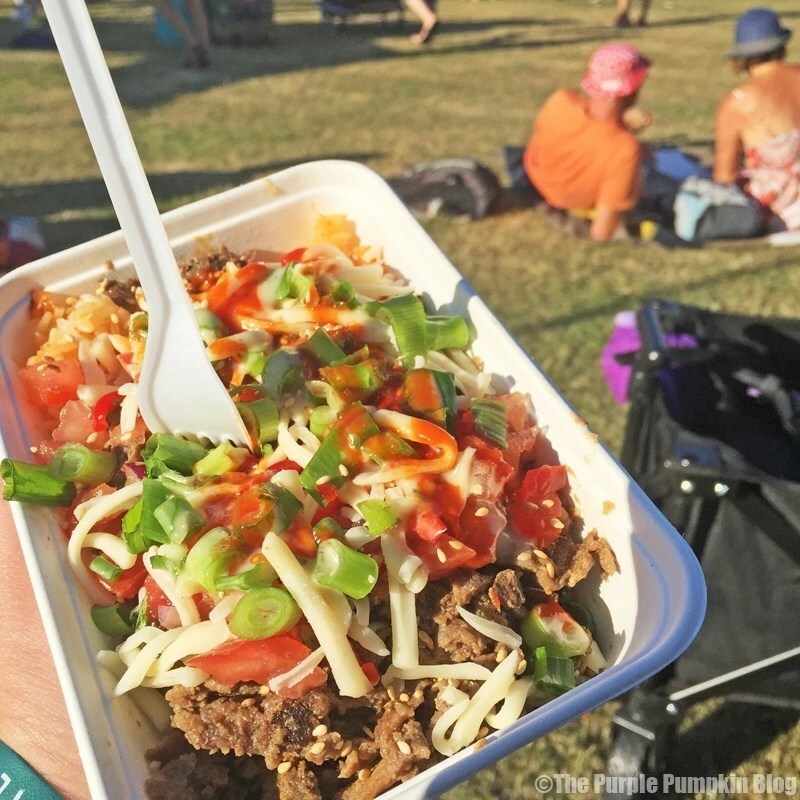 Having tried Korean BBQ at another food festival, I decided that my choice would be something from Korrito – authentic Korean BBQ in burritos, rice bowls and salad boxes. I plumped for the salad box, which was a huge portion for £7.50. There was a choice of meats – pork belly, beef or chicken; I went with the beef, and some kimchi rice, along with toppings of cheese, spring onions, fresh chillies and chilli sauce. Despite chilli overload, it wasn’t overly spicy (or maybe my palette has changed over the years!) 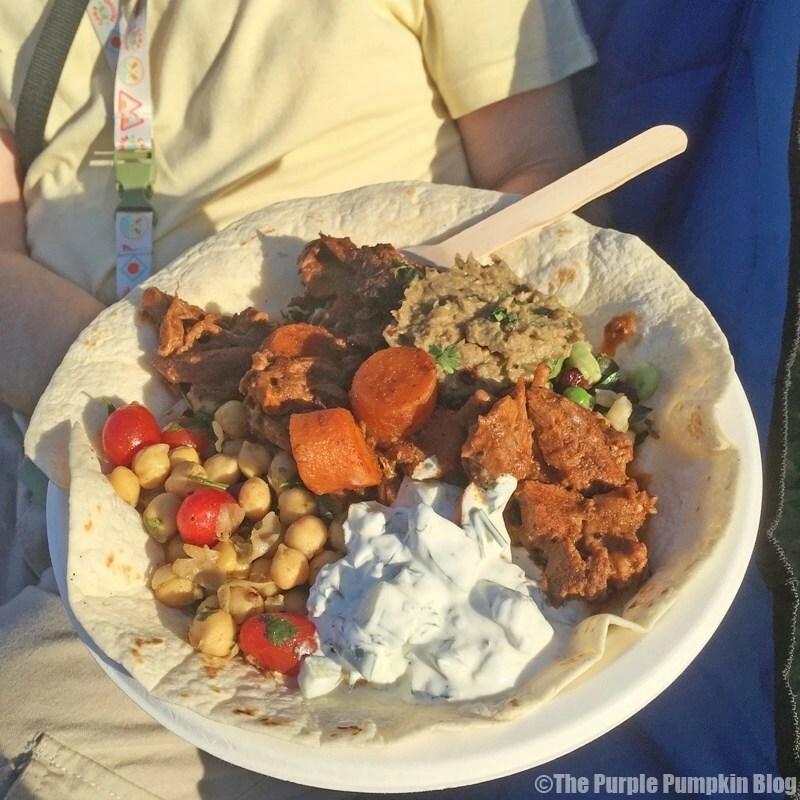 This dish got a 9.5/10 from me – it tasty really, really, good! On the Friday of the weekend, we popped into the Hotpoint Festival Kitchen to watch River Cottage Head Chef, Gill Meller and his food demo. He showed us how to use mackerel in three different dishes. I should really have scribbled them down, especially the one he made with a rhubarb sauce, as even I, who isn’t a fan of mackerel thought it tasted lovely. I’ve still got more photos of all the other food stalls around the festival, and the other snacks and food we had over the weekend, but I’ve decided to put them into their own post, as this one has gotten long with lots of photographs already! Watch out for that very soon. What a fantastic selection of different foods and I love your photos. 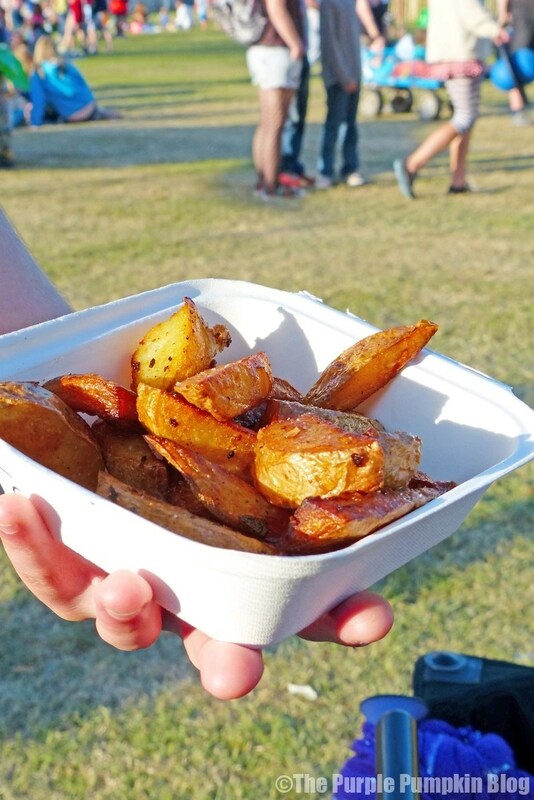 I think food at festivals might actually be the most important thing to me! It’s the same for us – in fact, anywhere we go, the dining and food options are what we always check out first! !